"One of my favorite snacking alternatives." Place popcorn and oil in a 3-quart pot over medium heat and cover the pot with a lid. 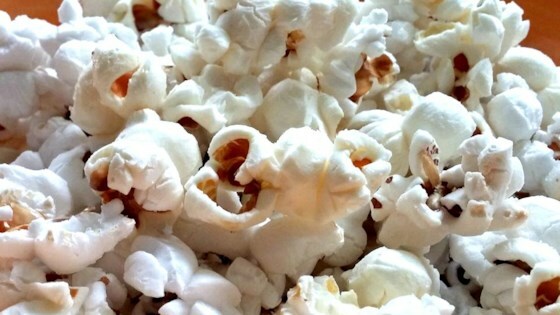 Shake the pot constantly as popcorn pops. When popping slows to a few seconds in-between pops, after about 3 to 5 minutes, remove pot from heat and pour popcorn into a large bowl. Season with sea salt. I put the popcorn and oil in a big glass bowl with a plastic lid that has a vent and cook it in the microwave. So easy, tasty, and fun to watch. made 1/2 a cup with 3 tbs coconut oil and 1 tbs canola oil. LOVE IT!!! Perfect as is! My new favorite snack. The best way to make popcorn.